That November morning was unkind. The milky white fog that had descended upon the river Don was thick and impenetrable. We were promised a magnificent view from the high right bank, but could hardly see beyond arm’s reach. Below us, an invisible river was quietly flowing past, taking its mighty waters westwards to the Azov Sea. The river, the trees and the vast flatlands stretching to the horizon—all concealed by the caprice of the autumn weather. Nonetheless, a sense of wonder prevailed over our disappointment. Instead of admiring another great Russian landscape—a customary occupation across the broad expanses of this country—our attention shifted to smaller things, both natural and manmade, which made the place special. Or, rather, it was more a surreal mystical blur, enveloped as we were by the heavy fog. A lonely bull-calf was grazing in the vicinity of a tall wooden cross—a traditional sign to indicate the boundary of a Cossack settlement. A massive boulder perched on a dirt mound was another important local landmark, prompting our host to recount fascinating legends about the infamous 17th century rebel, Stepan Razin. A steep river bank exposed crumbly white limestone, a source of construction material that was once excavated right here from an open pit. The pit has since been abandoned, and its floor is now covered by a carpet of wild herbs. Their unmistakable scent of southern Russian steppe, which could be detected even in the chilly autumn air, was at once reminiscent of local wine and filled the mind with brighter thoughts. Indeed, it was wine that had brought my American colleague and I to the khutor, or village, Vedernikov. I had tasted the local wines before. They were surprisingly original and begged for a proper discovery. I wished I had come earlier, but had previously been hampered by the sheer remoteness of the place. The pool of quality Russian producers is concentrated close to the Black Sea, and it takes a 7 hour eastward drive from the coast to reach Vedernikov. A better way to get there, as I did this time, is to fly to Rostov-on-Don. The city is an important gateway to the Russian south and a “mere” 160-kilometre drive to the final destination. In the distant past, the river signified an important border between different religions and peoples. The division had strong implications for winemaking. The right bank, to the north, practiced the Orthodox faith, encouraging the production of wine. It is probable that wine culture and ancient vines arrived there from the Caucasus, the cradle of winemaking, which would explain the origin of a number of local grape varieties. In the Russian Empire, wine was certainly made by Cossacks, military people who defended the country’s southern confines. Their most successful product was sparkling red Tsimlianskoye. It reached the aristocratic courts of St. Petersburg and Moscow and earned high praise from the great Russian poet, Pushkin, in the 19th century. Under the Soviet regime, the Rostov region became a major wine producing area, boasting 36 large producers and over 20,000 hectares of vineyards. Like elsewhere in Russia, the local wine industry was devastated following the collapse of the Soviet Union, and a slow recovery started only a few years ago. Today, there are perhaps three main producers in the Rostov region whose wines are worth speaking about. One of them is Vinodelnya Vedernikoff, a winery that has a good chance to become a standard bearer not only for the region, but for the Russian wine industry as a whole. Vinodelnya Vedernikoff top wines, under the same brand, already offer distinctive flavour profiles and are likely to impress even more in future. It was this winery that finally persuaded me to travel down there. There are several things which set Vinodelnya Vedernikoff and its wines apart from the others. For one, it is the sense of place, so preciously valued today in the world of wine. Vedernikoff wines, through their aromas and flavours, are able to tell a story of the river Don and its limestone soils, of fragrant steppe herbs and rare grapes, of harsh climate and tenderly cared for vineyards. Local grapes, some of them truly unique, provide another point of difference. 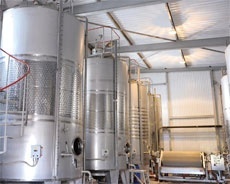 Several varieties, like Rkatsiteli, Aligote and Riesling, were brought from elsewhere, but have a long history of growing in this place, while others are indigenous to the area. Two grapes in particular—Sibirkovy and Krasnostop—are believed to have their origin in khutor Vedernikov, and are the winery’s greatest treasure. White Sibirkovy may suggest a possible connection with Siberia, but in fact the name is misleading. It is named after a local bush, sibiryok, used for making brooms. Cossacks noticed that sibiryok’s bright yellow flowers exude aromas, similar to those in wine. This prompted them to call the grape Sibirkovy. Mikhail Pakhalyuk, in charge of Vedernikoff’s vineyards, explains that this is a particularly delicate variety. It grows very slowly and yields grapes with thin skin and a creamy taste, not dissimilar to that of the curiously named but popular Russian soufflé sweets “Bird’s Milk”. Despite its delicate nature, Sibirkovy is difficult to vinify. 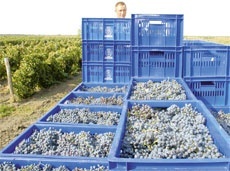 It presents new challenges with each harvest and is not produced every year. The 2010 vintage features an aromatic wine with a lovely perfume of flowers, steppe herbs and citruses, full flavours, appealing minerality, ginger spiciness and a lingering taste. Vinodelnya Vedernikoff is the only winery making commercial quantities of Sibirkovy, albeit limited. 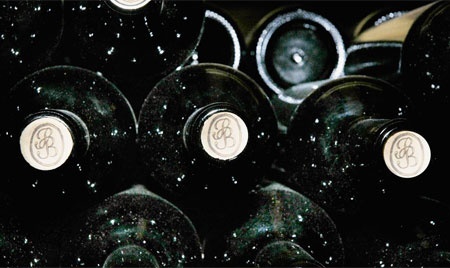 There are only 13 hectares under cultivation, and a maximum 25,000 bottles of this wine will be made for the 2010 vintage. Vedernikoff red flagship variety is Krasnostop. Grape berries are attached to a red stem, or stopa, hence the name. 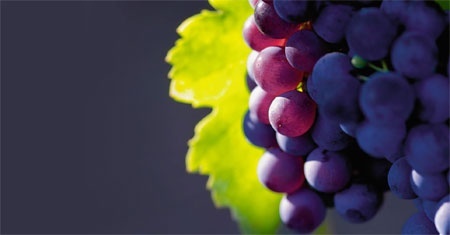 The grape was brought from a nearby village, but was put to wider cultivation in khutor Vedernikov. The name of the original village is still mentioned in the grape’s extended name, Krasnostop Zolotovsky. Unlike Sibirkovy, Krasnostop has a very robust vine—tough as reinforced concrete, says Mikhail Pakhalyuk. The winery pays double rates to prune it. Vinodelnya Vedernikoff makes a varietal wine that shows typical plumminess, spiciness and strong tannic structure and also uses Krasnostop for blending with other grapes for Pravoberezhnoye, or Right Bank, wine. From the 2010 vintage onwards some Krasnostop will be aged in small oak barrels, to tame the grape’s powerful tannins and give it an extra layer of complexity. This is the most promising Russian red variety, capable of producing wines with depth, structure and potential for aging. Vinodelnya Vedernikoff has already achieved good results. Hopefully, it will continue to improve, and one day will present Krasnostop at its greatest. The limits of space prevent me from discussing other wines under the Vinodelnya Vedernikoff label, all worth tasting. But there is something else that I must mention. Have you ever heard of a vineyard that is covered with soil for winter and uncovered again every spring? The practice exists in some places in Northern America and China, but—to the best of my knowledge—nobody does this in Europe. But the climate here is too harsh on vines in winter, thus they have to be protected with a thick blanket of earth from November to April. It’s odd walking the vineyards when vines cannot really be seen. I will be off again to Vinodelnya Vedernikoff in the summer—to explore the vineyards and hopefully enjoy a glorious view of the Don.